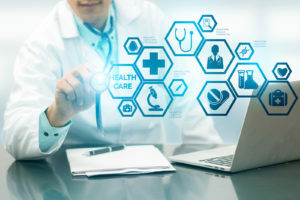 A large healthcare organization, located in the upper midwest, recently purchased OM Plus Delivery Manager (DM) print spooling software. Additionally, they purchased Tamper Resistant Print (TRP) for prescription printing on plain paper. This $4B healthcare organization has approximately 26,000 employees, 13 hospitals, and 3,100 beds. This customer will be using the Plus Technologies print software system to seamlessly ingest print jobs from its Cerner EMR host. Furthermore, it will automatically separate the Rx print jobs from the document stream and route them to the designated Rx printers. Then the jobs are re-formatted and merged with the Rx overlays to prevent unauthorized copying before being printed. This way expensive pre-printed Rx forms can be replaced with inexpensive plain paper saving the customer significant cost. In addition to saving on forms costs the customer will streamline operations and improve printing security. The sale to this customer was achieved in conjunction with Plus Technologies’ long time partner Lexmark International. Plus Technologies is a major OMS vendor in the healthcare market with several dozen healthcare customers. Additionally, OM Plus is currently managing “many hundreds-of-thousands” of devices in this vertical. Plus Technologies provides enterprise output management and print software to customers including corporations, government, and healthcare organizations. Many of our customers are leaders in their field and are listed in the Fortune 500. 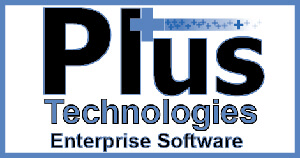 Plus Technologies’ solutions are based on the “OM Plus Software Suite.” Moreover, each software product can stand on its own or can be integrated with the other OM Plus software products, as needed, to solve unique document related business problems. Please contact us to learn more about our company and products. Moreover, you can count on Plus Technologies to do our best to help solve document and output management issues.